I don't like Jonah, but I do like this! We know the story: God said go one way, Jonah went the other. Waves crashed violently against a boat and the crew decided it was god's curse against a very specific man. So, over went Jonah into the deep, right into the mouth of that huge fish. We know the story: Swallowed up, Jonah cried out and then was spit onto shore. Curse turned blessing, at least in our eyes. and you listened to my cry." I will say, 'Salvation comes from the LORD.'" Did you catch it? Did you notice those few, little lines before the whole "it vomited Jonah onto dry land" piece? See, when I read the first few lines, I can't help but imagine what "I called to the Lord" really meant. Call for help? Undoubtedly! Call the Lord things that aren't repeatable? Quite possibly. We don't have to like to Jonah to learn from him. I won't begin to claim to know what sailors said back in those days, but let's remember he had just gotten thrown off a ship by sailors! What kind of words had Jonah just been exposed to as these sailors battled the fierce storm? Perhaps some of the same types of words he used as he battled with God for his life from deep within the great beast's belly. He decided, even from the pit, to praise! He promised to offer shouts of grateful praise while still in the belly of the sea-beast! Jonah hadn't seen the flannel-board ending to his story. He didn't know what was about to happen. All he knew was that he was sitting in the stomach of a great fish (Okay, really? I type this as if that even makes sense! How incredible is this situation? Kinda just shows how creative God is!). You caught that he was still in the belly of a fish, right? As far as I know, no one before him had ever done such a thing and lived to tell about it. I doubt Jonah praised thinking that praise was his life-saver. Instead, he sent praise to his true Life-saver. I'm not about to say that Jonah is one of my Bible heroes. He isn't. He fled from God. He blatantly disobeyed God. Jonah saw God provide a miraculous way to deliver him from the sea and then saw God deliver Nineveh from destruction. Then Jonah chose to sit and whine after God did deliver Nineveh from destruction. No, Jonah isn't my favorite, but I sure can relate to him. The part of Jonah's story I want to most be seen in me is this: he praised God from the pit. Do you praise God from your pit? Do you find it hard to praise God in the midst of intense fear and suffering? 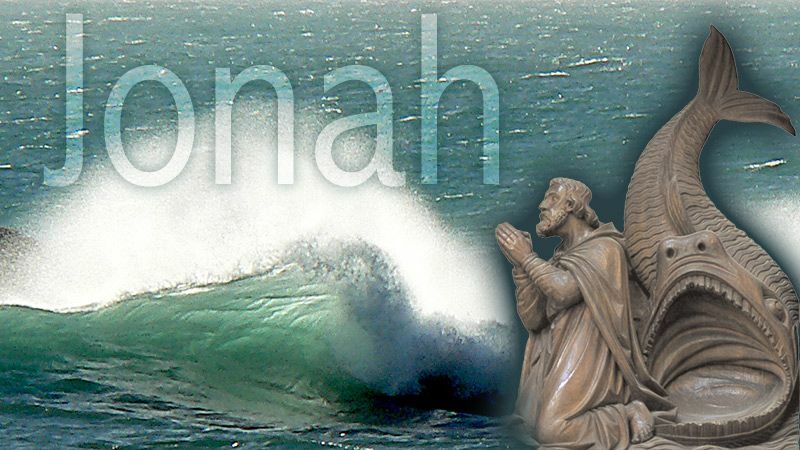 We don't have to like Jonah to learn from him. Let's learn to praise God from our pit because we know our God is the God of deliverance! "Praise from the Pit" by Stacy Voss is licensed under a Creative Commons License. Heartlight encourages you to share this material with others in church bulletins, personal emails, and other non-commercial uses. Please see our Usage Guidelines for more information.